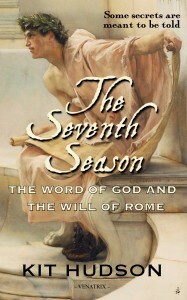 The events of The Seventh Season take place in 67AD, a time when the Roman Empire was at the height of its powers. There is a good deal of documentary evidence for many of the figures who play a part in the events depicted in The Seventh Season. Please click on the links in the text below to learn more. Ruled by the tyrannical Nero, the Empire was administered by a network of Governors (like Gallio), Consuls (like Aegeates) and client kings who collected taxes and sent the money to Rome. Of course there were also legions stationed throughout the Empire whose presence encouraged compliance with any Imperial dictats. It’s often said that the Roman empire was the most successful in history because it did not impose its language or its religion on the countries it ruled. Every city had its own cults, and there were many travelling preachers –like Apollonius of Tyana – and adoption of a new god did not always mean abandoning an old one. This religious freedom allowed the Jews to continue to worship their god and observe their customs, but it did not stop resentment at Roman rule from leading to outright rebellion. The Jewish War, which started in 66AD, would ultimately lead to the destruction of the Temple in 70AD. 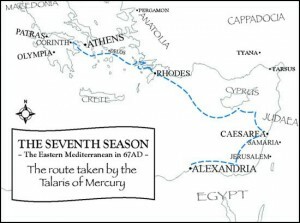 In 66AD, Nero embarked on a tour of Greece during which he extended Roman citizenship to the Greeks. As well as competing at Olympia, he also visited the major sanctuaries and announced the building of an canal across the isthmus at Corinth (which was never built in his reign – it was finally completed in 1893!). Nero’s appearance at Olympia was almost as controversial in Rome as it was in Greece: Emperors were supposed to be soldiers, not singers. 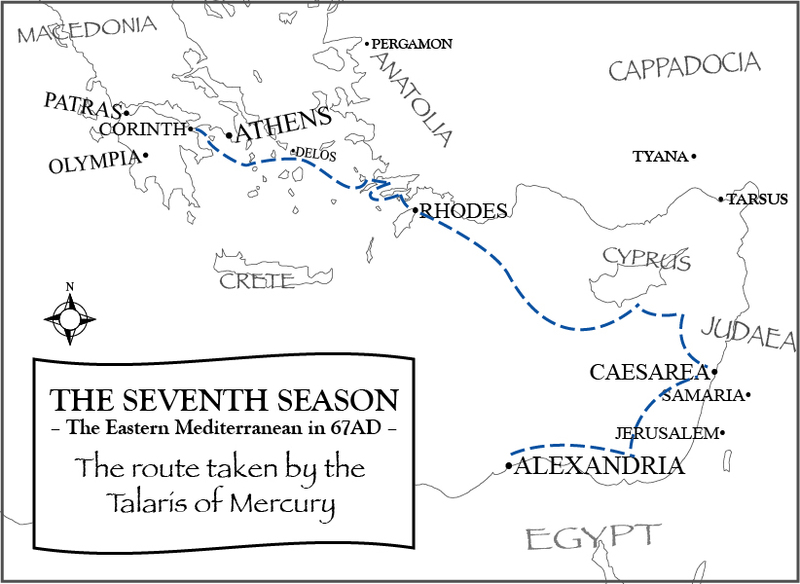 With revolt breaking out in Judaea, and plots circling him in Rome, Nero’s reign was nearing it’s end by the time he sailed for home. It was a time of turmoil, and a time when many communities were hoping for an end to Roman occupation. It is in this climate of desperation that the Apostles, including Andreas, spread their message of hope.